SCX-5635FN boosts up your work efficiency and performance. The smart office assistant, it supports workgroups users and small and medium business users. SCX-5635FN can print, copy, scan and fax with 33 ppm printing speed, duplex and convenient network features that you require in workgroup environment. Getting the productivity boost has never been this easy. SCX-5635FN has the fastest printing and copying speed of up to 33 ppm in A4 for desktop style MFP within short distance of actual users, while a single page first print out time is as quick as 8 seconds. SCX-5635FN maximizes your job environment with optional items. Expandable memories boost up printer's performance with up to 384 MB. Every printout is delivered quickly and smoothly without any bottleneck to disrupt workflow. Broaden the capabilities of your device with a wireless network. SCX-5635FN allows you to connect without the need to restrict your workplace location due to hard wire cabling availability. Expand the network by connecting everyone and print from any location, simply and wirelessly. Get everyone at work onboard quickly with simple and easy to use UI panel. Reduce training and troubleshooting time with simple intuitive menus and buttons. The 4 line backlight LCD spreads your control sight and blue lighted compass navigate you the job process status. More economical to operate than other models in the market, the SCX-5635FN adds more value to set-up. Think of the compounded savings you stand to make, with each printout costing you less than ever. The assurance of reliability also minimizes cost-wastage typically with paper jams and other malfunctions. With an average of 1,000 to 3,000 prints a month, know you stand to get the most out of your multifunction printer. Even in the most demanding and challenging business environments, the SCX-5635FN leads in productivity- capable of delivering a maximum monthly duty of 80,000 pages. 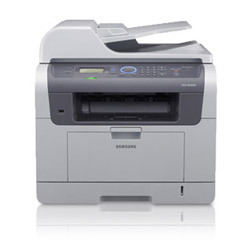 Built-in emulation technology ensures utmost compatibility with any computer or software, so the multifunction printer can process every document fast and easy. No matter the job or requirement, from basic prints to professional looking documents, you are guaranteed the printout and quality you need. SCX-5665FN supports up to 550 sheets composed of 50-sheet multipurpose tray, 250-sheet standard tray and optional 250-sheet tray. SCX-5635FN sets you free from frequent reloading paper and saves your time. Change the way you look at printers, and how you work, with the outstanding features of the SCX-5635FN. A direct USB port turns it into a self-functioning PC to save time and effort, while letting you print and scan directly with a USB device. Maximum paper handling versatility with customizable paper input sizes. Letter, Legal, Oficio, Folio A4, JIS B5, ISO B5, Executive, A5 - Min: 98 x 148 mm (3.86" x 5.83") / Max: 215.9 x 355.6 mm (8.5" x 14.0") Legal. The multi-talented SCX-5635FN will change the way you work. You get high performance that will boost productivity and streamline workflow. SCX-5635FN is designed with smart set design for easy and fast maintenance to reduce unavailability time so you can spend more time on the job and not fixing paper jams.